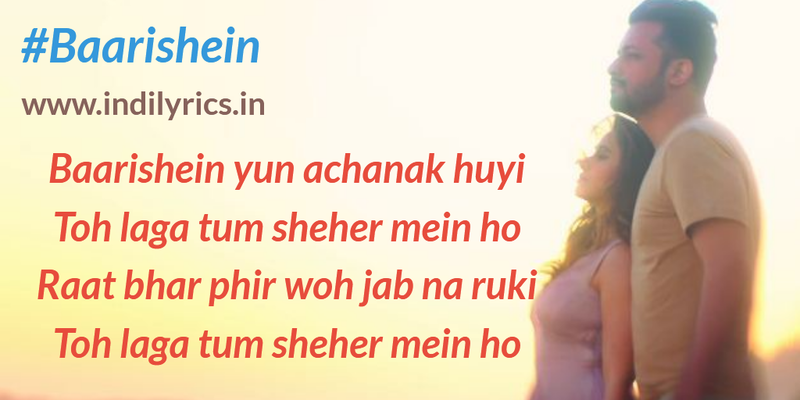 Baarishein Yun Achanak Huyi Full Hindi Song Lyrics with English Translation and Real Meaning Explanation from music album Baarishein presented by T-Series. 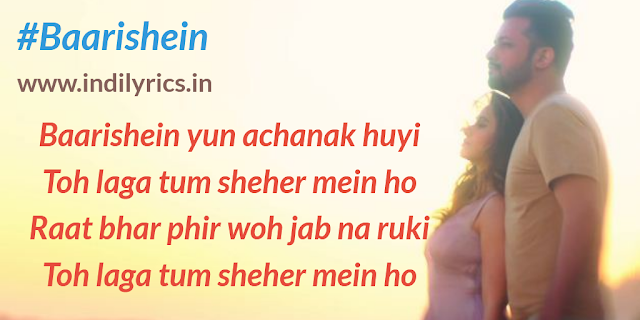 The wonderful love song is composed and written by Arko Pravo Mukherjee while Atif Aslam sang this song. The music is available on T-Series. The Audio mp3 version of Baarishein by Atif Aslam is free to download and stream from Gaana, Wynk, JioSaavn and other online music portals. The music video of Baarishein stars Atif Aslam and Nushrat Bharucha.